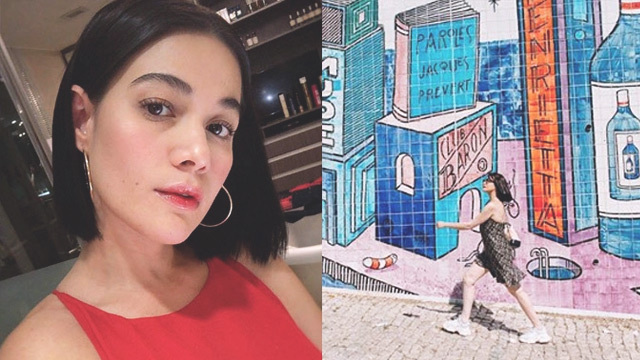 Bea Alonzo got her wallet stolen while on vacation in Lisbon, Portugal. 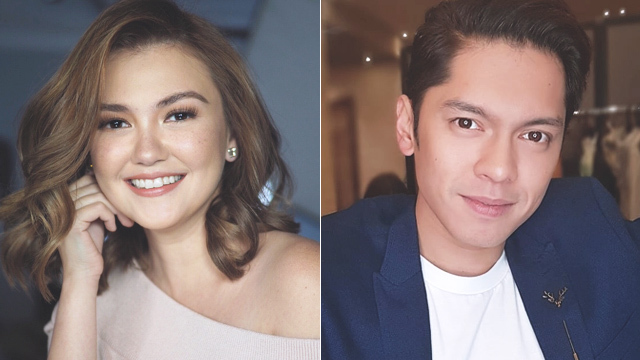 While posting vacation photos on Instagram, friends and followers of the ABS-CBN actress reminded her to be extra wary of pickpockets in crowded places. 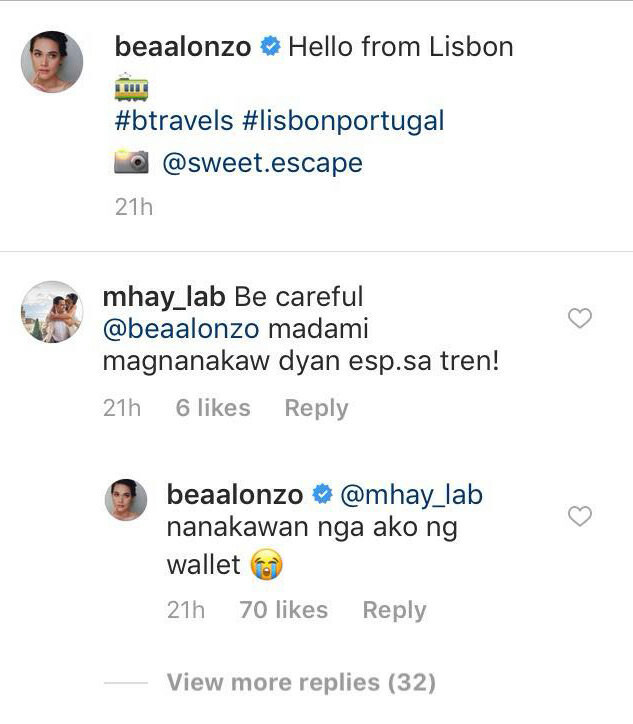 One Instagram user wrote, "Be careful @beaalonzo madami magnanakaw dyan [especially] sa tren!" Bea then revealed the unfortunate news in her reply, "Nanakawan nga ako ng wallet [crying emoji]"
This wasn't the first time a celebrity fell victim to pickpockets and robbers while on vacation abroad. When Kapamilya actor Sam Milby went to Paris, France for the first time last year, he got his passport stolen. In a tweet, Sam revealed that three men tried to rob him at a train station. They stole his passport thinking it was his wallet. Gretchen Ho also recently lost her bag (including her phone) while shopping in London. Looking back, however, the host considers the unfortunate incident as a learning experience. Wiith additional reporting by the Female Network editors.